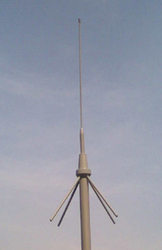 Manufacturer of antenna, circular polarized antenna, fiber glass collinear antenna etc. 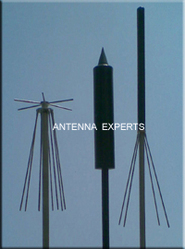 Antenna Experts manufactures ground plane antenna for 30-66 MHz., 66-88 MHz, 150MHz, 350 MHz, 450MHz, and 850MHz. frequency bands with unity and 3 dBi. gain. 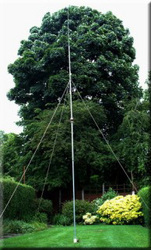 Quad stacked circular polarized yagi antenna. 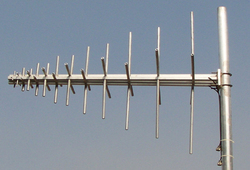 Antenna Experts manufacture stacked dipole antenna for 75MHz, 150MHz, 350 MHz, and 450MHz frequency bands with 3 dBd, 6dBd. 9 dBd. and 12 dBd. gain. 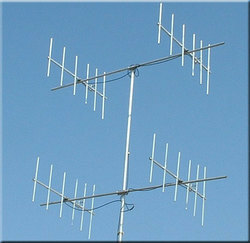 The SD series stacked dipole array are highly suitable as base station antennas, repeater station antenna for Repeater and Paging sites due to wide bandwidth. The SD series high performance VHF/UHF stacked dipole arrays are designed for use with highly populated radio sites requiring long haul omni directional coverage. 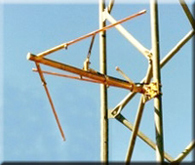 Exposed stacked dipole array are available in combination of 2 dipoles, 4 dipoles and 8 dipoles. The SD series heavy duty stacked dipole array features, wide bandwidth, high gain, high power handling capacity, low VSWR, low noise performance and null filling coverage with omni directional characteristics which are highly suitable for TETRA and SCADA applications. Antenna Experts manufacture grid parabolic antenna for 350 MHz, 450MHz, 800MHz, 900MHz, 1450MHz, 1850MHz, 2450MHz and 3500MHz frequency bands. Various size of grid parabolic antennas manufactured by us such as 0.6Meter (60 Cms), 0.9M (90 Cms), 1.2 Meters, 1.8 Meters, 2.4 Meters, 3Meters and 4 Meters size with various gain starting from 15 dBi to 44 dBi depending on the frequency range. Grid parabolic antennas greater than 2.4 Meters supplied with 2 side struts for highest wind load / pressure and in two segments for easy of shipping and handling. The LP series ranges of log periodic dipole array are high gain array that provides strong performance over the operating frequency range of 20 MHz to 6000 MHz. as the log periodic dipole array does not use loading technique to reduce the overall size of array. 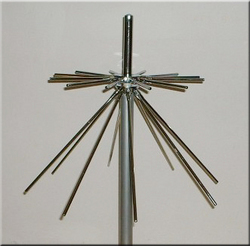 These log periodic dipole antennas uses 6063T6 ultra corrosion resistant architectural aluminum alloy and designed to provide wideband directional transmission/reception of radio signals from 20-3000 MHz bands. 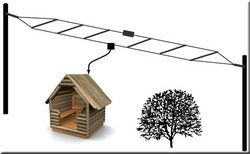 The log periodic antennas are suitable for receiving, transmitting, scanning, monitoring and jamming applications due to its broadband design feature. The LP series LPDA features high power handing capabilities, high efficiency, low VSWR, low loss and robust mechanical design to accommodate the most extreme environments condition. 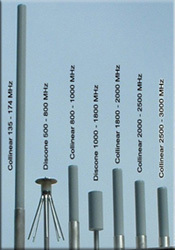 The Log Periodic Dipole Array operates at D.C. ground with low resistance discharge path for protection against lightning and for immunity to noise. In a cellular communication system, a base station could be considered a central mode of transmission and reception for the network. Currently, this station includes an omnidirectional antenna or several sectoral antennas. Cable consisting of a single copper conductor in the center surrounded by a plastic layer for insulation and a braided metal outer shield. 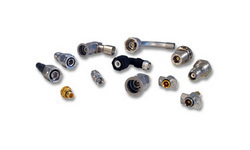 Coax is used to transfer radio frequency energy from the transmitter to the antenna. Our APT series tactical radio relay antennas are highly suitable for all tactical and fixed station applications for conventional military radio relay antenna. 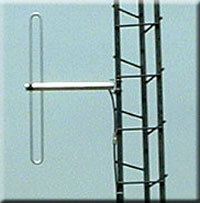 The tactical radio relay grid antenna covers full band II and band III, operates in linear polarization and requires only one operator for installation. 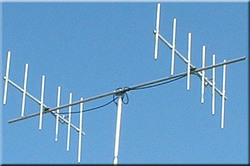 The mounting arrangement of Tactical Antenna permits to change the polarization from horizontal to vertical and vice-versa by mounting hardware fitted at rear end of the antenna. These APT series tactical radio relay grid antennas features high gain, low side lobes, rugged constructions and perfect for use in crowded electromagnetic spectrums which avoid interference from co-sited antennas. The parabolic reflector is illuminated by a primary feed which is fitted to the center of assembly with quick fastener system. 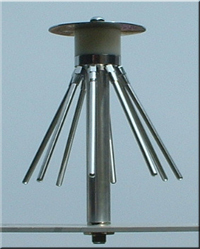 Radiating elements and the dipole feed are made of high quality brass. The grid parabolic tactical radio relay antenna operates at D.C. ground with low resistance discharge path for protection against lightning and immunity to noise. All the screws, nuts and bolts of tactical microwave antenna are of stainless steel. 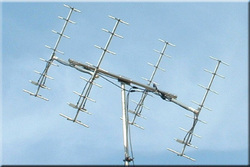 The antenna supplied with army green color IR NATO 24X5. Horizontal direction expressed as the angular distance between the direction of a fixed point (as the observer's heading) and the direction of the object. A range of consecutive frequencies comprised of a band (i.e. the US cellular bandwidth is 72 MHz wide between the frequencies of 824 MHz - 894 MHz) over which an antenna shall perform without the need of any adjustment. A numeric value describing the amount or signal loss from one point on a length of cable to another. This is measured in decibels (dB). Transmission line connection at the electrical center of an antenna radiator. A system of two or more antenna radiators arranged in a line and connected end-to-end to generate a directed field pattern (serial linear topology). 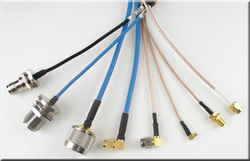 Referring to on-glass antennas, a coupler is the two-piece interface between the coaxial cable on the inside of the glass and the radiator on the outside of the vehicle. 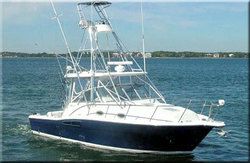 It is designed to efficiently couple RF energy through the glass. The formulation of the glass and glass thickness normally have a substantial effect on coupler performance. Antenna measurements in general and radiation patterns in particular must be performed with polarization in mind. 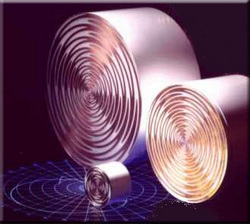 Since polarization is defined as having the same orientation as an antenna's electric field vector, it is common practice to refer to measurements aligned with either the electric vector ( E-plane) or magnetic vector (H-plane).